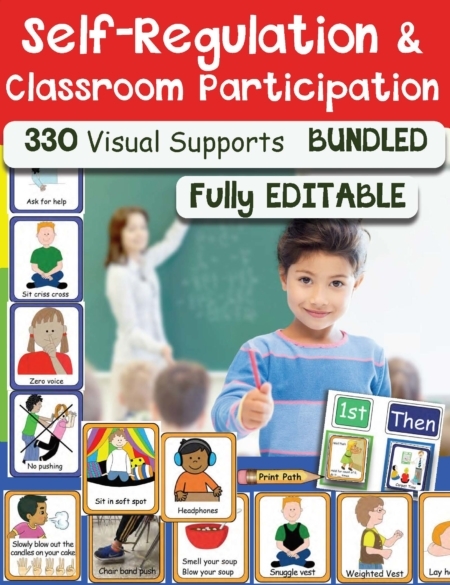 Too Slow, Just Right or Too Fast – Visual Supports for Self-Regulation digital document that includes 11 visual supports to help children practice self-regulation skills. As children develop motor skills and process sensory information they start to understand how their body can move slow, fast and all the speeds in between. Over time, children begin to learn to self-regulate and determine their “just right” body state that is ready to learn. Therapists, teachers, and parents can help children practice self-regulation skills with these 10 visual supports. 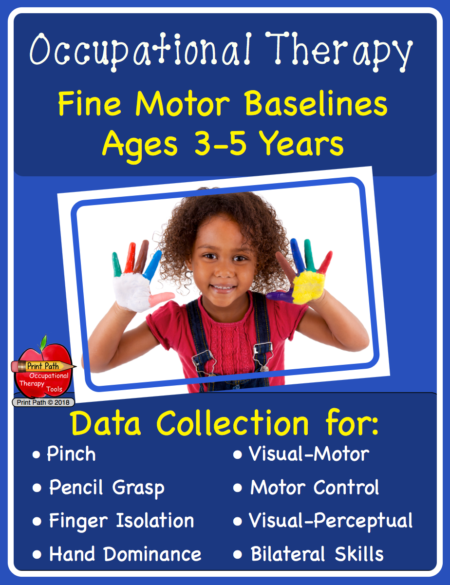 Use the visual supports to have children practice moving at different speeds to determine their “just right” state. 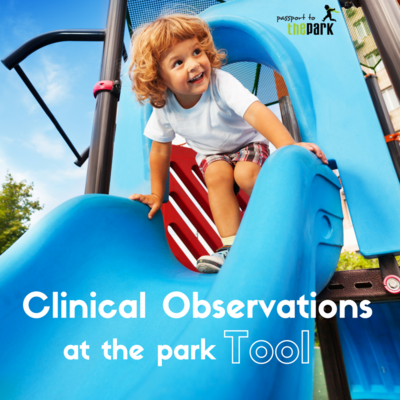 If children have trouble processing sensory information, you can use the visual supports for them to respond and reflect on their current level of arousal. Color-Coded Visual Support with examples of emotional states or level of arousals. Children tend to be open to new information best when their bodies are ready to learn. If a child is running all over the house or the classroom, it can be hard to learn new information. Their senses are on overdrive. On the flip side if a child is feeling very sluggy and tired, it also can be hard to learn new skills. When the body is in a “just right” state we are ready to take in new information and learn new skills. Help children learn to self-regulate and determine their “just right” body state. 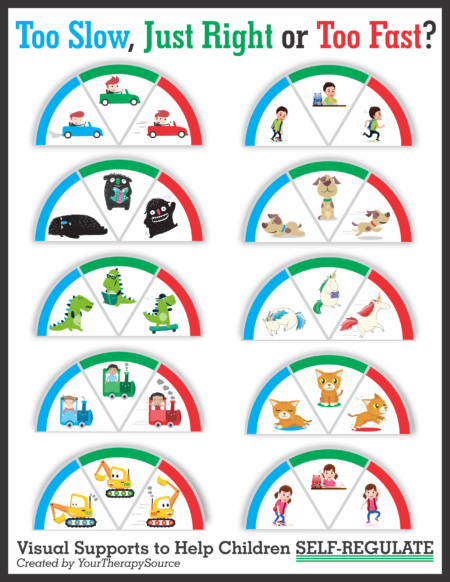 Need more visual supports for self-regulation skills?